FOR IMMEDIATE RELEASE: Lewiston, Maine (January 3, 2018) – New England Fights (NEF) returns to Lewiston on Saturday, February 3, 2018 with the fight promotion’s next mixed-martial-arts event, “NEF 32: Super Saturday.” Earlier today, NEF announced the addition of an amateur lightweight bout to the card. Stacy Lupo (0-1) will take on David Hart (0-2) at a fight weight of 155-pounds. Stacy Lupo made his NEF cage debut in the summer of 2016, facing fellow forty-something athlete Dr. Steve Bang (1-1). Lupo and Bang went deep into the third round in a grueling, back-and-forth battle before Bang was able to finish the fight by TKO. Prior to stepping in the cage that night, Lupo, a former wrestler at Nokomis Regional High School in Newport, Maine, already had more than three decades worth of martial arts experience. He holds black belts in both Taekwondo and Shotokan karate. Lupo competed in amateur boxing and kickboxing in the 1980s and 1990s. Currently, he is a member of The Outlet based in Dexter, Maine and also operates Lupo’s Mid Maine Karate. 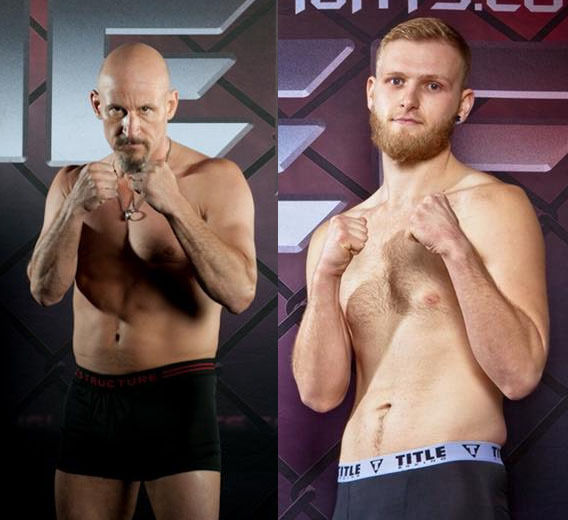 Like his opponent, David Hart is also looking for his first victory in the MMA cage. He made his debut last summer at “NEF 30” in Bangor in a losing effort against Zach Faulkner (1-0). Hart took Faulkner into the second round before getting submitted. He returned a few weeks later at “NEF 31” in Portland and lost again via submission against 56-year-old Gary Carr (1-0). Now, Hart is looking forward to testing his striking skills against another striker in the form of Lupo. Hart represents Kenney’s MMA of Lisbon, Maine.